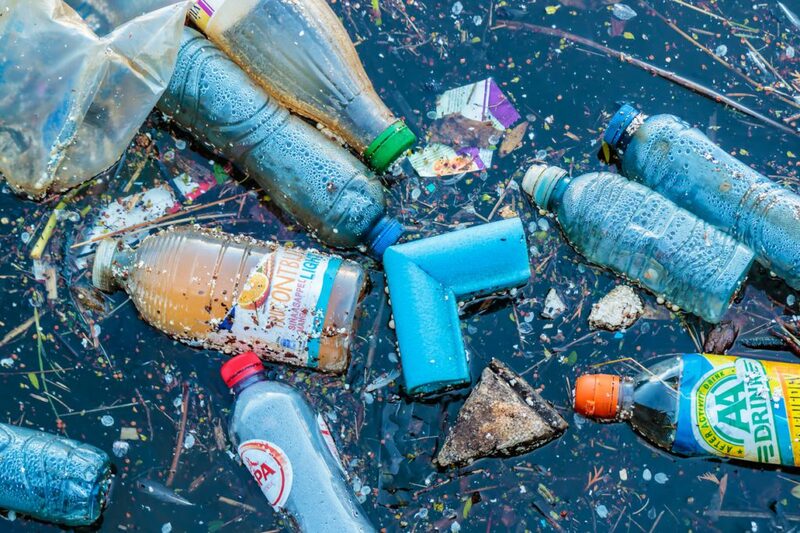 When you finish a drink that was packaged in a plastic bottle, please do not throw it out just because it’s easier than walking all the way to the recycling bin. Not taking that extra step is something a majority of the people in the U.S. (and the world) do. By educating yourself, you can help slow down (or even decrease) these statistics about plastic pollution. Almost every single piece of plastic that has ever been created still exists today (even if it has taken on a different shape or form). However, there is a small amount that has been burned. Roughly 91 percent of all the plastic that has ever been created (which is 8.3 billion metric tons) has not been recycled. About 500 million plastic straws are used each and every day — and that’s just in the United States! Plastic straws are not commonly accepted by most recycling programs either, which makes them even more of a threat to our planet. Say NO to using straws! Over 100 billion plastic bags are used each year by Americans. To help curb this number, opt for reusable tote bags. They can be used hundreds of times and can actually hold more groceries than the average single-use plastic bag. Eight million tons of plastic end up in our oceans each year. If that doesn’t shock you then this will — the amount of microplastic in the ocean surpasses the number of stars in the Milky Way galaxy. For every minute that passes, one million plastic bottles are purchased around the world. Roughly half of these bottles will NOT be recycled. One of the biggest reasons for the lack of recycling is due to the lack of education on recycling. Many people do not know exactly what can and cannot be recycled, which leads to many people recycling less — and some aren’t recycling at all! If you’re one of the many people that could be recycling more, we can help you be a part of the solution! If you have questions about what can and cannot be recycled, or would like to join our curbside recycling program — please give us a call! Together we can help decrease the amount of plastic that isn’t recycled.